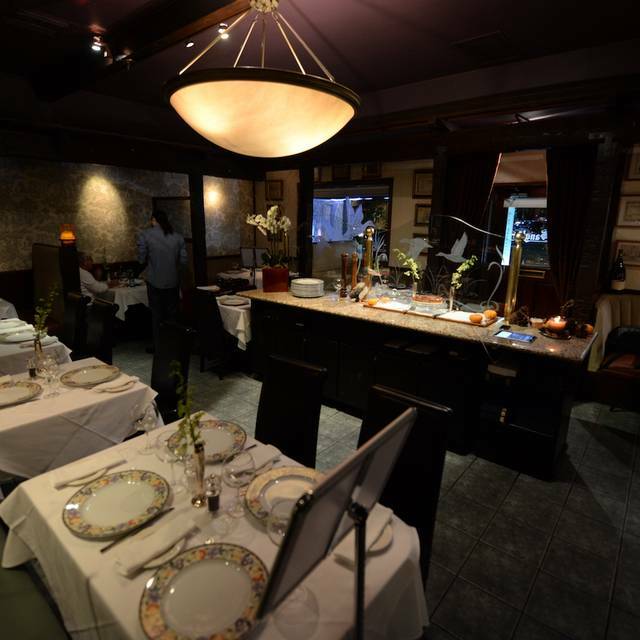 For over 48 years, Le Sanglier Restaurant has stood the test of time and provided a quiet haven from the stress and tumult of everyday life. It's about pleasure, indulgence and relaxation with one of the most irresistible, exquisite tastes of fine dining offered. 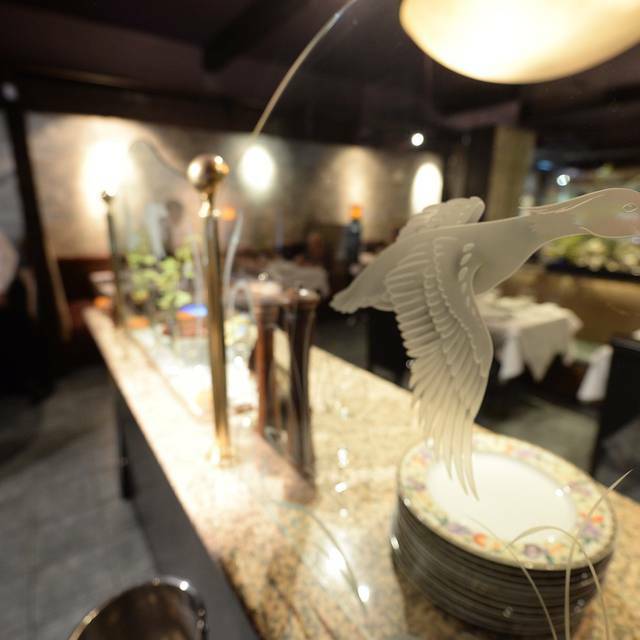 The delightful and extensive menu of contemporary French cuisine promotes light and healthy fare. 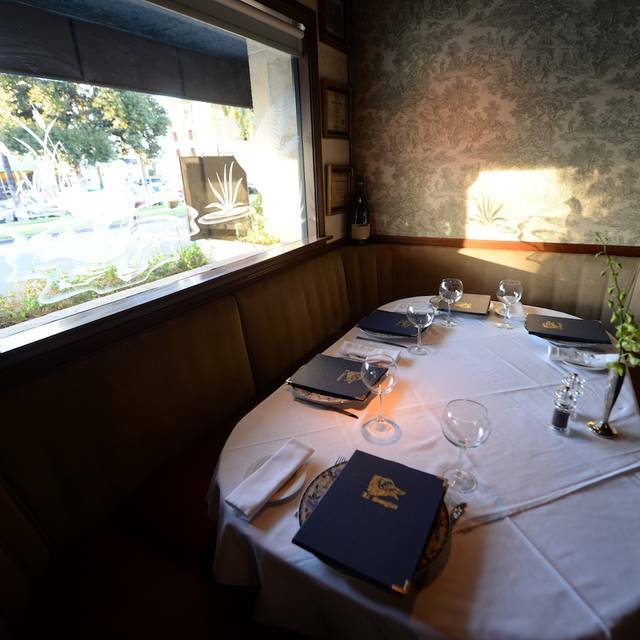 Food connoisseurs are in for the ultimate treat at this upscale, quaint Tarzana favorite. The lodge-like interior is low-key and often filled with regulars. 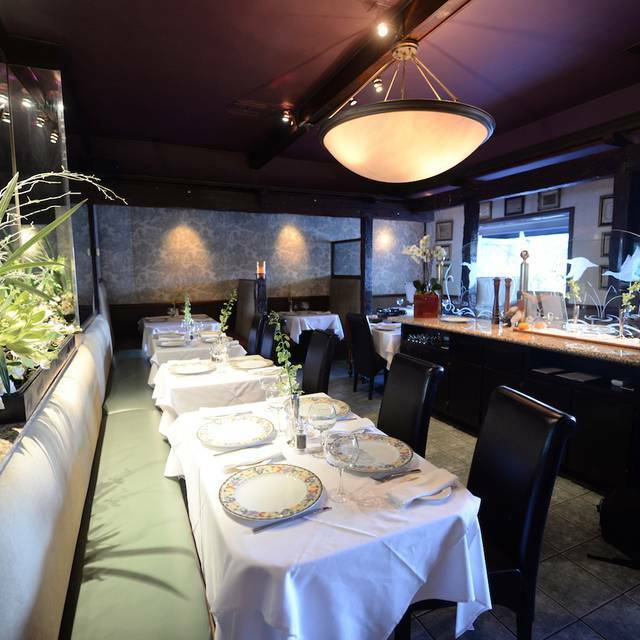 Patrons agree that Le Sanglier Restaurant is "the best in the Valley" with specialties including venison, wild boar, veal, steaks, fish and seafood and daily specials. With a full bar, it's open for dinner only. Tuesday through Sunday from 5:30 to 10:00 p.m.
Roasted Crispy Half Duckling "A L'orange"
My husband and I have been coming to this restaurant for years. Even though it has changed owners a couple of times over the 25 or so yrs it has remained a special place to enjoy a very nice setting and dinner. You are not rushed and they pay attention to your needs. The actual servers have been there also for years. If you call ahead and tell them what you are celebrating they will accommodate. Want a quiet moment? Ask for a booth for this. They do have a larger table area for larger groups but it still remains a charming , country French ambiance. Very nice place to have a slow meal and good conversation! Food was great, but service was very slow. We were seated for a half hour and had to flag down a waiter to get our meal ordered. They were very pleasant and accommodating, but obviously under-staffed. The food was excellent, and the prices very reasonable. My wife and I truly were impressed with the entire experience. We both love sweetbreads and not many restaurants offer them these days so we were anxious to try them here and we were not disappointed they were excellent! The only disappointment is we went so long not knowing this place existed. We will be back and we will be telling many friends about it. The food was delicious and our waiter was perfect. This can be a special occasion restaurant. It is really classy. It would be difficult to find a more perfect place to ask the "down on one knee" question. For my wife and I and the other couple we were with, it was simply an old favorite that we had not been to for a year or more. It was not chosen just because it was also my birthday, though the chocolate souffle they brought at dessert with a candle in it was fantastic. For that matter, all of our meals were beautifully presented and just delicious. The owner/host was delightful and the service was flawless. The restaurant is not cheap, but it is reasonable, especially when you consider the experience of real dining. We will not let so much time go by before our next visit. Great food, ambience, and service. I had the salmon with cherries. Superb! Souffles for dessert, did not disappoint! excellent experience ! We had not been to Le Sangler in a number of years and were plesentlly surprised that it was still the same quality and professionalism was still being held. The food was well prepared and served hot and pleasent to the eye and the taste was extrordinary. Our server had been there for 25 years and mentioned that the new owners of 20 years were involved with the restaurant when it first opened in 1970. highly recommend it to anyone looking for GREAT TASTING French cuisine. Pricy but well worth it. It was our first time back since the owner change. We had a wonderful dinner the food was great as was the service. We love the cozy atmosphere. We could actually have a conversation. Will be returning. 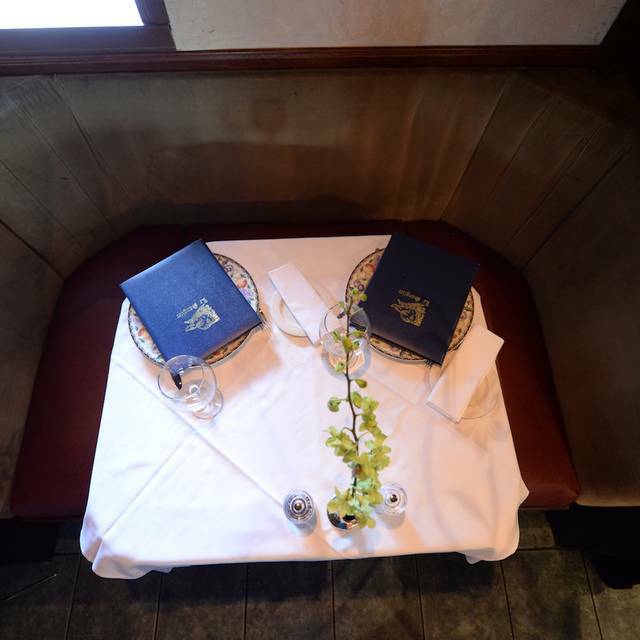 Love this restaurant for an intimate booth, wonderful service and delicious dinners! Just discovered this gem of a French restaurant. Loved it! 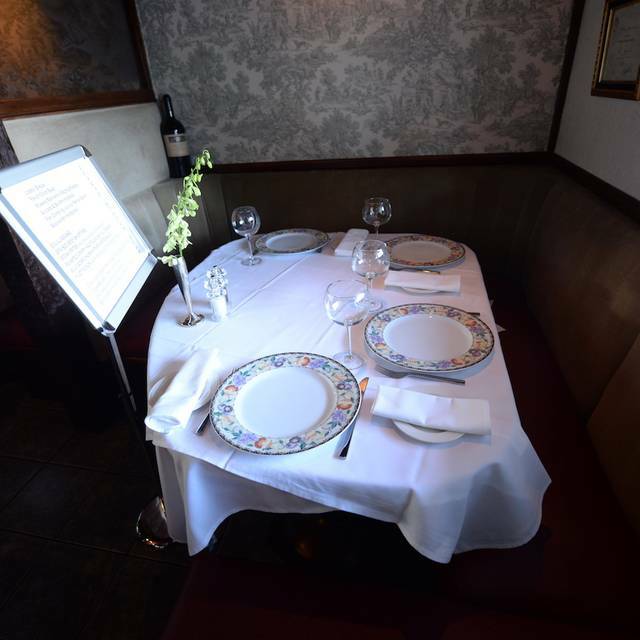 Restaurant has been and still is excellent as a place you can have privacy and enjoy quiet conversation. The food is pretty good—not great—and the service is spotty. We would still go back when the goal was quiet and intimate. If the goak was great food, then not. Delicious meal, as usual. One of our favorite restaurants. My wife’s salmon was cooked just as she requested. I love beef bourguignon and they almost always have it, hard to find elsewhere. Finally a not noisy restaurant. We can speak and be heard. In a lot of restaurants the noise is very uncomfortable. I really appreciate the romantic ambience of le sanglier with Charles Aznavour as a background music. Food was overpriced for what you got. We went for my birthday and the staff made me feel very special. The food was outstanding as well as the service we will go back soon with our friends. It is one of the best restaurants in the valley. Took the in laws from New York and we had a very nice dinner. Was not very busy on a Sunday eve , so we had a nice , quiet and relaxing meal. The duck , veal and wild boar were all good dishes. Great restaurant with wonderful people. We celebrated our son’s recent proposal to his girlfriend with the patents at the restaurant and where very pleased with the service and food. The staff was very accommodating and the noise level was low. Had an excellent experience. The menu and quality of food is excellent and the ambience is cozy and chic with a romantic flair. Welcoming, white table cloths and intimate booths. Wonderful menu with varied options; great service and good value. This is our new go to place! Disappointing from the start. Apart from the menu, they brought out a board with specials. I ordered one, and the waiter dramataically hit himself in the forehead and told me they couldn't make that. We also ordered from that board crepes suzette, and he again hit his forehead and explained why they couldn't serve that, either. They tried to cobble together something and got it wrong. Le Sanglier has yet to disappoint. 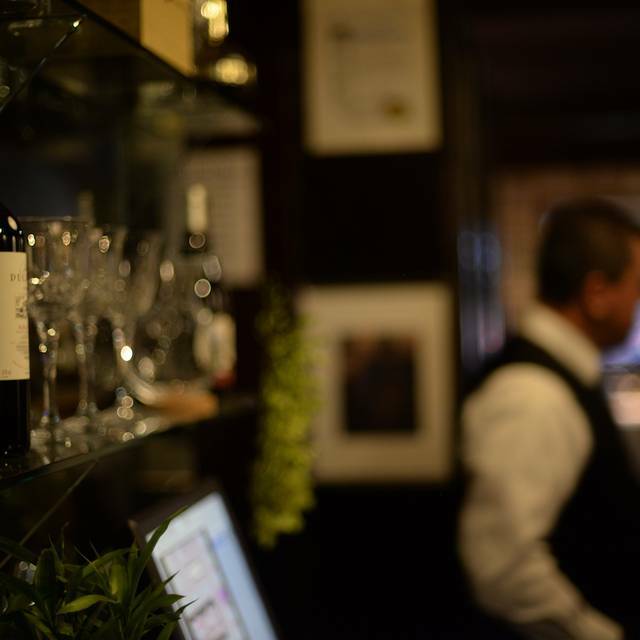 The food is always fantastic and a great ( not typical) wine list and now a full bar. Absolutely phenomenal meal. Took my mother here for her birthday and we all felt Ike it was a celebratory meal for us. We love everything about this lovely restaurant. My husband was given cherries jubilee for his birthday. That was a lovely surprise and a wonderful dessert ( we all ordered one!) on the way home we all talked about how much we enjoyed our experience an we’re especially pleased that we could hold a conversation and actually hear east other without straining. We will be back...again! Eating at LeSanglier is always such a wonderful experience. 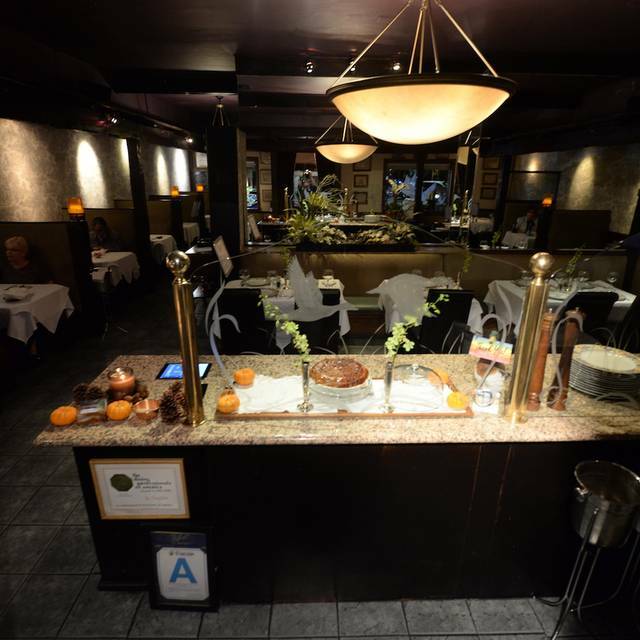 The food and service are consistently good and the atmosphere couldn’t be better. Can’t wait till we go back again. The dining experience is almost indescribable. From the setting to the food, you feel like you have stepped into a magical garden. The staff is warm and accommodating. George and his son Micheal were so kind and went above and beyond to help me locate a gift code I had received. Thank you Le Sanglier for the memory and amazing night full of the most incredible food. We go here for every Birthday & Every Anniversary in our Family of 4 !! Have been enjoying this wonderful little restaurant for many years. Great food, wine, atmosphere and service. Another birthday bash and, as usual, outstanding food , service and conversation. Le Sanglier is special as the person we celebrated. Perfect restaurant that hit all the right notes for this occasion. Lovely evening at a very special place. Love the veal calvados and my husband raved about the halibut! Such a great dining ambiance and excellent food! Had the duck pate and endive salad as starters, delicious. A neighborhood gem that I wish would come out to our neighborhood about 15 miles west! Those in The Valley are lucky to have such a great restaurant in their area! Have you ever been to an elegant restaurant that did not honor your reservation, was extremely noisy so that you couldn't carry on a conversation, and the wait staff clung over you as to say hurry up, and the food was just ordinary at high end prices? If you have, you will love Le Sanglier. It is what I expect in a fine and elegant restaurant. This was a restaurant that does not over book, but honors you request. The waiter was first rate and giving us the time and space needed for an evening of conversation and dining. This is not a fast food restaurant. Good food takes time. For this occasion our family was celebrating my sister's 89th birthday. She is hard of hearing and for once she could hear our conversation. Most of the booths are somewhat inclosed that muffle the sound of others. And for those interested in what is good on the menu, we recommend the beet salad, short ribs, the duck, and the steak frite. The chocolate souffle was delicious. 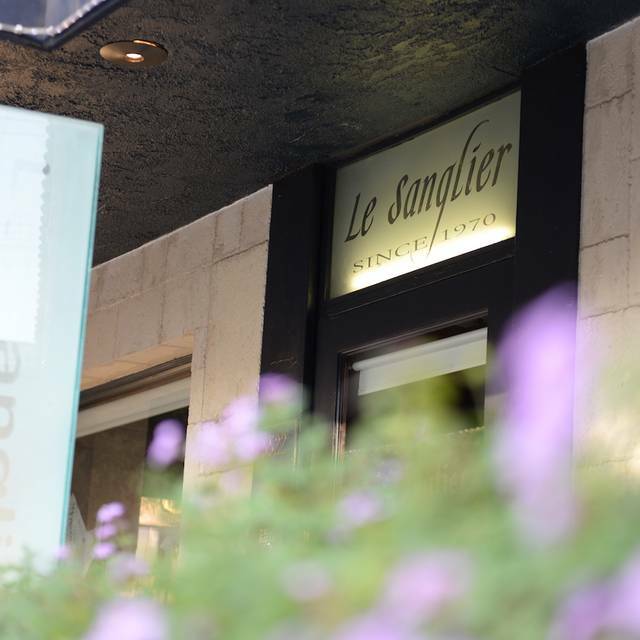 Our entire family recommends Le Sanglier highly. The food was no good. Felt very 'old'. Waiter wasn't great. Good was average. We celebrated my wife's 72nd birthday. The night was marvelous. Old world charm and elegance and atmosphere. Quiet and dim lights. Superb French cuisine. Thank you Michael, Michael's father, and Jaime. Nice quiet restaurant- food was good, not fabulous. Service was good. able to hear the person sitting next to you talk. Will definitely go back.